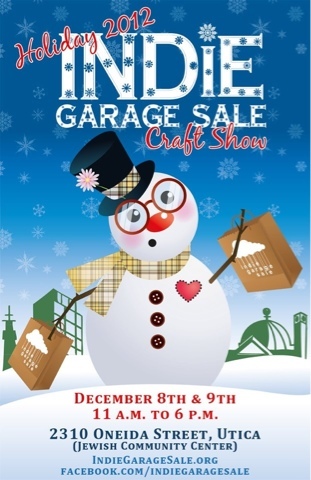 2012 Holiday Indie Garage Sale! This Saturday and Sunday! See you there! Just wrapped up my favorite local sale, the Indie Garage Sale! I worked out this brand new set up. The side displays are made from inexpensive crates, spray paint, and the bottoms and tops are covered with Mod Podge and scrapbook paper. I used some yarn and some clothespins to hang my small 8"x10" prints. Also made this great little chalk board price signs. I think in total they cost me about $5 to make. Much more versatile than the paper signs.